What Was the Name of the Senator Who Voted Against a Sterling Supreme Court Nominee in 2005? writes the Huffington Post's Ryan J. Reilly in a highly-partisan piece. A lot of leftists seem to forget that when John Roberts was selected for the Supreme Court, one senator said (in so many words) that he did indeed have a sterling record, but that he would vote against him because of Roberts's convictions (nothing to do with the John Errol Ferguson case, which the senator would probably approve of). The senator's name? Barack Obama. Republicans vote against Debo Adegbile because he is one more activist who not only wants to defend the but also wants to use the law apparatus against everyday honest American citizens — citizens of whatever race. Neither the Westerners in genereal nor Barack Obama in particular understand that the heart of Vladimir Putin's rhetoric holds that Westerners are Russia's enemies, writes Le Monde in an editorial. 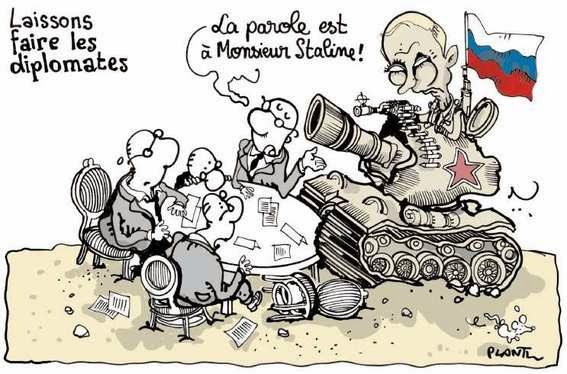 M. Poutine pose ouvertement les Occidentaux en ennemis de la Russie : pour qui veut bien se donner la peine de la lire, c'est le cœur de la rhétorique poutinienne. Le « camarade » Vladimir n'en a pas fini avec la guerre froide. 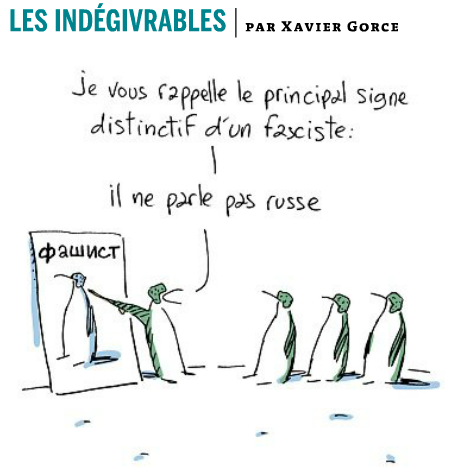 Les Occidentaux ne l'ont pas compris, qui ont laissé la Russie en 2008 dépecer une partie de la Géorgie. Le président Barack Obama ne l'a pas compris, qui a multiplié les gestes d'ouverture sans jamais rien obtenir de Moscou. 34 Years Ago: "Such an aggressive military policy [by the Kremlin] is unsettling to other peoples throughout the world"
Thirty-four years ago, Jimmy Carter went on television to discuss the (hostage) crisis in Iran along with, after waking up to the true nature of the Russians, the Kremlin's invasion of a neighboring country: "Such an aggressive military policy is unsettling to other peoples throughout the world" (2:34). Whatever the alleged lack of experience that the Republicans' choice for vice-president may have, it can hardly be greater than that of the Democrats' choice for chief executive — a man with only two years in the national legislature. During the latest debate, Barack Obama skewered John McCain and/or the Bush administration for not acting friendlier toward Iran or North Korea, all the while, in so many words, issuing threats to Iraq and Pakistan. In the third and last debate, Obama went on to lambaste Columbia (totally misrepresenting — i.e., caricaturing — the situation in the process). We have seen the this fairy tale-type of foreign policy before (speak to all and all will be well or, at least, all problems will lessen and start getting resolved). If Iran is in the threatening, inimical position it is now, it is largely thanks to Jimmy Carter's similar "be kind and understanding to our enemies, be tough on our friends" approach to foreign affairs. If the Camp David accords were a success, the 39th president's State Department managed to alienate one faithful (if distasteful) ally after another. And two of them — Nicaragua's Somoza and Iran's Shah — were overthrown during his tenure, both of whom were replaced by régimes arguably far more more repressive and more hostile to Washington if not the Western world itself. While Carter — a man at the time almost as young as Obama — preached Americans to get rid of their alleged outdated anti-communism and to focus on America's own alleged sins and those of its allies, Afghanistan, Angola, Cambodia, Grenada, Mozambique, Ethiopia, South Yemen, and Nicaragua fell into the Kremlin's sphere while Moscow proceeded to invade Afghanistan — leading the idealistic (and naïve) Carter to state how shocked he was to have been lied to. We are seeing similar echoes in today's Democratic candidate and it is without the least hesitation that I say that I will take Palin over Obama any day.